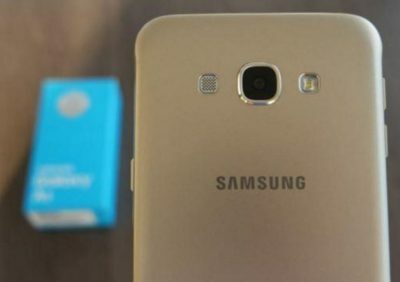 Just a week after Samsung Galaxy C9 was spotted on imports-exports tracking site Zauba, the device was spotted on GeekBench, confirming some of the previously rumored specifications. The device was seen with 1.4GHz octa-core Snapdragon 652 MSM8976 processor, coupled with 6GB of RAM and Android 6.0.1 pre-installed. The device carries the model number SM-C9000. The single-core score on GeekBench manages to pull down a respectable 1304. For multi-core, it showed a score of 4366. Galaxy C9 is the latest in C series and is only made exclusive to the Chinese market. The mid-range lineup is expected to be officially introduced in other markets soon. In India, where Samsung has a strong presence, it recently released the Samsung Galaxy C5 and Samsung Galaxy C7. The Galaxy C7 sports a 5.7-inch FHD display and is powered by Octa-core Snapdragon 820 processor. Other specs include 4GB of RAM, 64GB internal storage, 16 MP rear camera and 8MP front camera. While Galaxy C5 is packed with similar specs, it is powered by 1.2GHz octa-core Qualcomm Snapdragon 617 processor and has a smaller 2600mAh battery compared to C7’s 3300mAh battery. Both the models sport a metal body design with streamlined body curves and edges. The post Galaxy C9 spotted on GeekBench, confirms Snapdragon 652 chipset, 6GB RAM appeared first on Gadgets Post.